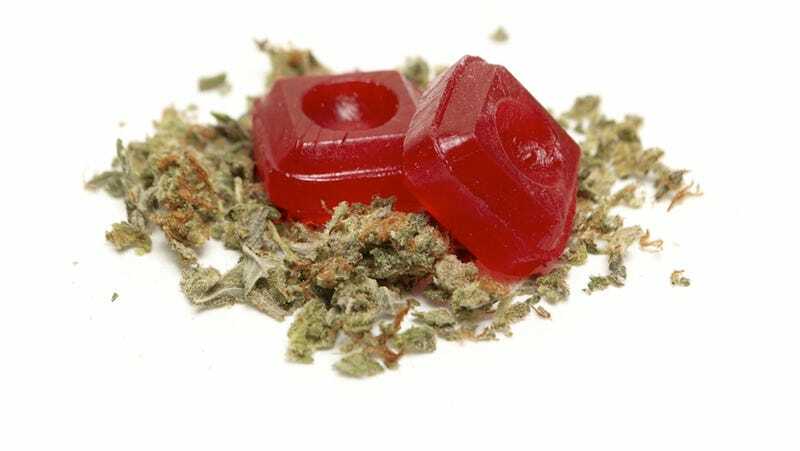 A Denver man who was accused of murdering his wife after eating weed candy has now changed his plea to not guilty by reason of insanity. The tragic incident occurred in April 2014 when Kristine Kirk was on a 911 call, telling dispatchers that her husband, Richard Kirk, had been acting erratically after eating an edible called “Karma Kandy Orange Ginger.” His original plea was not guilty. Before she was shot, Kristine told 911 her husband started acting paranoid, climbed through a window and cut his legs on broken glass, AP reports. She was begging him not to retrieve a gun from a locked safe. Dispatchers then heard a gunshot and the call went quiet. The couple’s three children were also present at the time of the killing. Experts will have to consider Kirk’s behavior in the days, weeks and months leading up to and following the shooting, said Steven Pitt, a forensic psychiatrist who has worked on sanity cases but isn’t involved with Kirk’s case. His mental health history likely will also come into play. The couple had also been experiencing marital and financial problems. Kristine had a life insurance policy worth $340,000 at the time of her death. Following this case and the death of a college student who jumped off of a hotel balcony after eating a pot cookie, Colorado edibles now have tighter regulations—including stricter potency limits and new packaging.